The Roundtable on Sustainable Palm Oil (RSPO) is the global certification body for “sustainable” palm oil. If a big name brand, like PepsiCo, Unilever, or Mondelez claims it is using sustainable palm oil, it almost certainly means RSPO oil. ILRF and our partners Rainforest Action Network and OPPUK recently released our latest report, “The Human Cost of Conflict Palm Oil Revisited: How PepsiCo, Banks, and the Roundtable on Sustainable Palm Oil Perpetuate Indofood’s Worker Exploitation,” the second to document rampant labor exploitation, including child labor, on RSPO-certified palm oil plantations owned by palm oil giant Indofood. Indofood is a massive Indonesian company, the sole partner for PepsiCo in Indonesia—producing all PepsiCo, Frito-Lay, and Quaker branded snacks in the country—and a likely supplier to global brands Unilever, Kellogg's, Mondelez, Mars and Hershey's. The RSPO has so far failed to enforce its standards, despite eidence of ongoing violations. If it wants to maintain its legitimacy as a certifier of "sustainable" palm oil, the RSPO must suspend Indofood and any other palm oil supplier that refuses to produce their products without doing harm to workers or rainforests. As a concerned consumer, I am writing to demand the RSPO enforce its own standards and drop palm oil suppliers who exploit workers or the planet. A new report by International Labor Rights Forum, Rainforest Action Network, and Indonesian advocacy group OPPUK called “The Human Cost of Conflict Palm Oil Revisited: How PepsiCo, Banks, and the Roundtable on Sustainable Palm Oil Perpetuate Indofood’s Worker Exploitation” shows how ongoing exploitation and abuse are rampant in RSPO-certified oil from palm oil giant Indofood. This latest investigation exposes Indofood’s ongoing labor abuses, which blatantly violate the RSPO standard. Unfortunately, this is not a new problem. 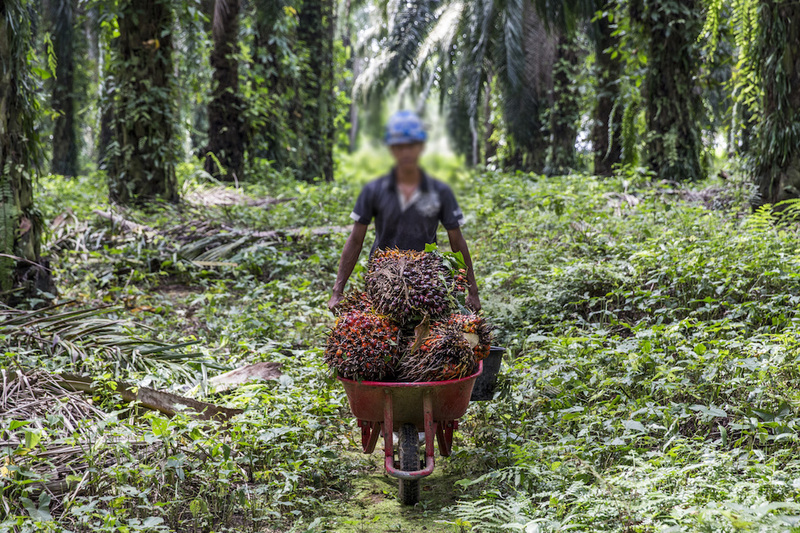 This is the second year in a row that RAN, ILRF and OPPUK’s field investigations have shown unchecked abuses in Indofood’s RSPO oil, including problems as disturbing as the use of child labor on palm oil plantations. The RSPO has dragged its heels, and so far has failed to do its job and enforce its own standards. To maintain credibility, and to protect people and planet, the RSPO must suspend Indofood, and any other palm oil supplier, who refuses to produce their products without doing harm to workers or rainforests.